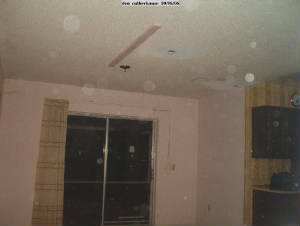 Investigation was conducted On October 6, 2006 and November 6, 2006. 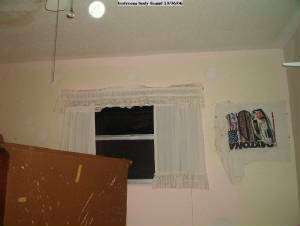 The first investigation, was started about 8:30 PM. We conducted a quick walk thru to obtain baseline readings and then set up all of our equipment, which consisted of digital voice recorders, portable radio for white noise, video cameras with night shot , emf meters, thermometors, and digital and 35mm cameras. Since this was not a large area to investigate, we opted to pick areas for different team members to sit, listen and watch. 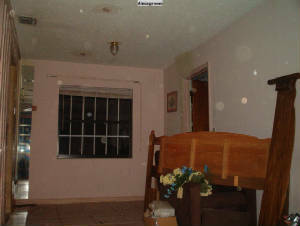 Jenny and myself were stationed in the room were the owner was found and we both got a smell of vodka at one point in the evening, which we later found out from the family was his favorite drink. 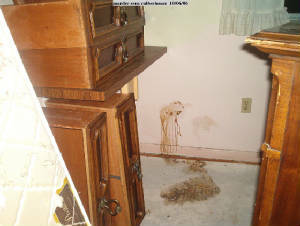 During the course of the second investigation, two of our team members had different experiences. 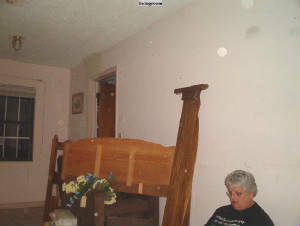 Tracy was coming out of the garage, in to the dining room and felt something brush her face. (No unusual equipment readings were noted at this time). Shereen was feeling a cold spot directly behind her on the left side. We took many temperature readings and found that this area, consistantly recorded 5 degrees colder than the rest of the room. Shereen reported that this cold presence was behind her most of the evening. We did capture an EVP which is on our EVP Page. 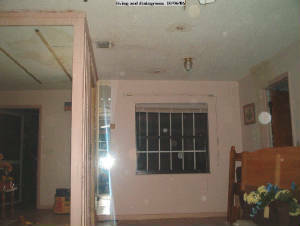 The conclusion of this investigation was YES there is paranormal activity, and a need for more investigating to determine a possible haunting. 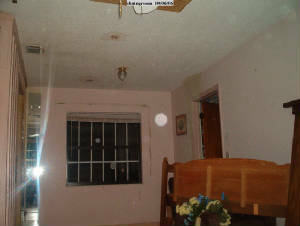 We were not able to conduct any further investigations, as the home has since been sold with the closing of the estate.